Mr. Osita Okechukwu, the Director General of Voice of Nigeria (VON) and chieftain of All Progressives Congress (APC), at the weekend lashed out at the Deputy Senate President, Ike Ekweremadu, for using the last three years to fight Buhari, instead of attracting good projects to Enugu West senatorial district. Addressing APC delegates in Awgu, Okechukwu, a senatorial aspirant in Enugu West, regretted that Ekweremadu, rather than giving his people effective representation like some senators do, dissipates energy in fighting President Muhammadu Buhari from the hallowed chambers of the Senate. He lamented that such a ranking senator had chosen to make the Senate a battle ground, abandoning a vital road infrastructure in his senatorial district, such as Oji-Awgu federal highway, to become a death trap. “If you are fighting an incumbent President, will you get anything for your people? Instead of behaving like David Mark who even had more senators on his side but said his party, PDP was not in power, our brother Ekweremadu plunged into the contest for the Senate leadership and you could see the confusion he caused in the Senate in the past three years,” Okechukwu said. He maintained that it will be delusion to expect Ekweremadu to achieve anything if given another four years when his scorecard for Enugu West is not commensurate to 16 years sojourn in the senate. 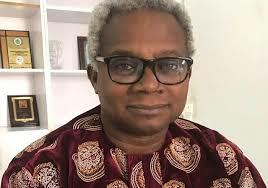 On what spurred him to run for the Senate, Okechukwu explained that he was inspired by a desire to revamp the abundant coal deposits in Enugu State. “What inspired me to run for Senate is that I know how poor I am and how poor my constituency is. Enugu state has at least, 10 higher institutions and they produce over 2,000 graduates every year and there are no jobs. That is why we migrate to South Africa and they kill us. “When Professor Barth Nnaji was Minister of Power, we started the journey to revamp Enugu Coal. He set aside five Coal fields and designated them for Coal to Power, so as to generate 1,000 megawatts. We continued with Professor Nebo. Its been six good years talk about coal. They said it was no longer in vogue. Yet, it produces 80 percent of electricity in India and 65 percent of electricity in South Africa. “When Buhari came, we persisted. Methinks as a senator one will actualise the objective of revamping Enugu Coal to generate electricity and proved employment to thousands of youths,” he said. Okechukwu said his undying desire to revamp coal made him to join the senatorial race. Urging the Awgu delegates to support him in his senatorial bid, the VON boss noted that with this modest appointment, he registered cooperatives, with ten beneficiaries per ward in Enugu West. “I have a good relationship with Mr. President, the Vice President and almost all the Ministers. None of my other contenders for the APC ticket has this level of contact. “All these are crystal clear. As a senator, I do not need to wait two hours to see Mr President. Now, you (delegates) spent money to come here. If I win, will I forget you? Capital No! I paid my dues and Buhari did not forget me. In the same way, if I get to the Senate, I will never forget you,” Okechukwu said. Earlier, Basil Chukwu, one of the major stakeholders of Awgu APC and State Assistant Secretary, noted that Okechukwu had contributed so much to the party and time has come to give back to him. Similarly, Ikenna Umeh, the Chairman of APC in Awgu LGA, described Okechukwu as an astute and loyal party man who had contributed both morally and financially to solving problems in the party. Umeh assured Okechukwu of the support of the entire APC in Awgu local government area. The party chairman urged him to go back to his immediate constituency in Udi and Ezeagu, to get their support and return to Awgu, where his support was already guaranteed. Also speaking, Chikwado Chukwunta, the APC State Deputy Chairman, said Mr. Okechukwu has the capacity to get Awgu people out of their condition, adding that under the leadership of Emperor Baywood Ibe, the people of the area would make APC win in Enugu State, Enugu West and Awgu. “Pharaoh must allow our people to go. This neocolonialism must end. Our condition in Enugu West is bad and we are demanding for change. APC has come of age and we need programmes that could put smiles on our faces,” Nwafor said. He said equity demands that the next senator for Enugu West should come from Udi or Awgu, since Ezeagu and Oji River had produced senators in the past while Aninri produced the incumbent senator, Ike Ekweremadu, who was not willing to leave office after 16 years in the Senate. Others in Okechukwu’s campaign train were Dr Bonny Eneh, Kate Offor, Maureen Anosike, Godwin Onwusi and Ejike Eze. Meanwhile, in a swift reply, Ekweremadu’s media aide, Mr. Luke Mgbor said it was obvious that Okechukwu appreciates that he is just an upcoming propagandist who has no political value both to his party and his constituency, as such his only chance of getting attention is to mention the name ‘Ekwereamdu’. That way the media will consider his story.